What could be better than quick, painless and effective total body training? Every trainee would love to experience how it feels to sculpt their bodies without going too hard on themselves or overworking their joints. Do you want to experience this? 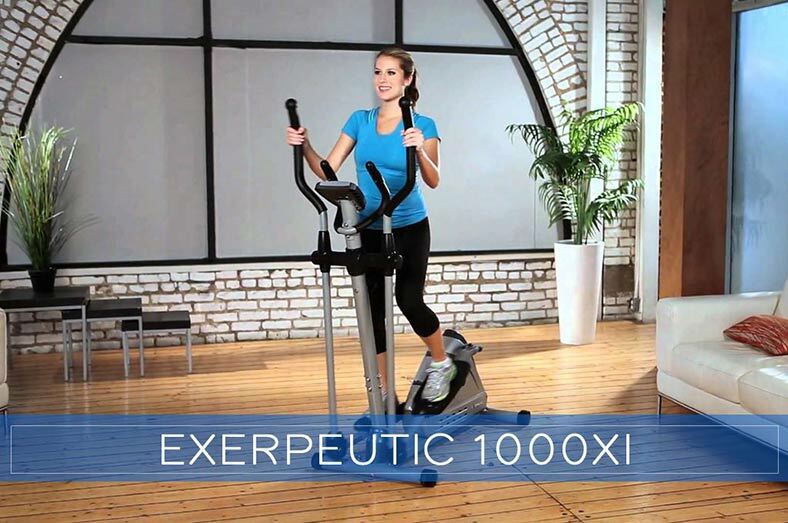 If yes, don’t hesitate to get your hands on a Bowflex Max Trainer. The Bowflex Max Trainer M7 is the greatest offering in the Bowflex Max Trainer series which leads the three-model series. For the most part, all Max Trainers tend to receive positive reviews, but the M7 stands out in quality and performance — it also makes the most of zero impact motion. The good thing is, you’ll be able to exercise with little effort and get excellent results in no time — even a 7-minute workout can get the job done! 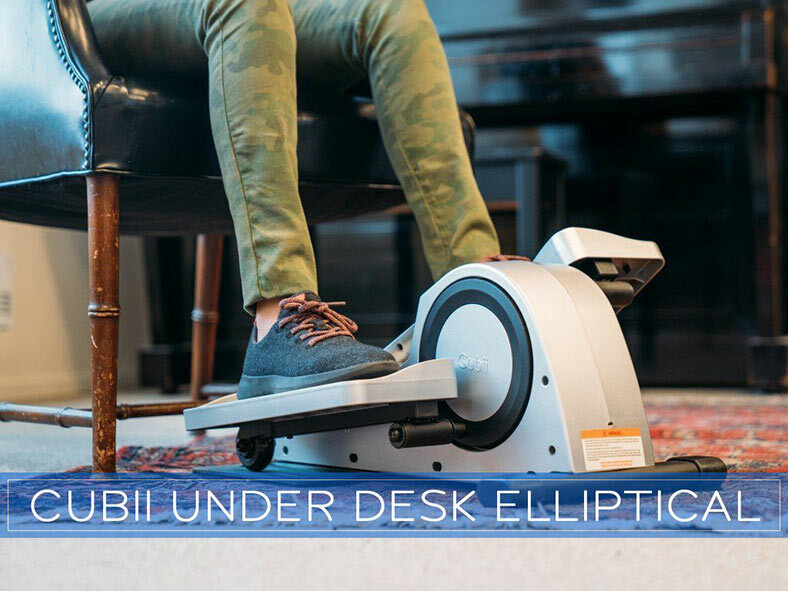 This trainer actually comes with more features than the M5, and it outperforms ellipticals, treadmills, and stair steppers when it comes to burning calories. The performance is sure to work great for people looking to lose weight and get in shape in the quickest possible time. For the most part, the M7 comes loaded with excellent features that make it a great option for your home gym. What could be better than getting an incredible fat-blasting, cardio workout in just 14 minutes? That’s totally awesome! So what’s next? Well, at this point, we’re going to give an in-depth review of the M7. You’ll get to learn more about its features as well as every other thing you need to know before taking the plunge. 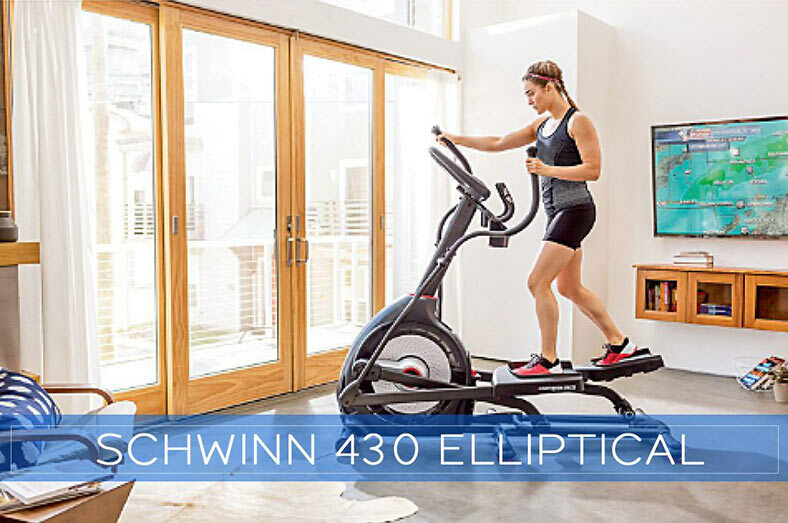 Without further ado, let’s explore all that makes this sleek new leader of the Bowflex Max Trainer series a recommended buy. The M7 also comes with four additional resistance levels — in essence, you get a more challenging workout than you would on the M5. This Max Trainer has up to 20 computer-controlled resistance levels — you can find controls for the resistance in the handlebars and console. Another fantastic feature of the M7 is its ability to adapt to the trainee’s fitness level. The M7 automatically adapts according to your fitness goals and lets you know it you’re actually meeting them. For the most part, you’ll get to be presented with a new workout plan if you do meet your goals so you can proceed to get as fit as possible. The good thing is, the program keeps up with you if you lag behind or fail to achieve your goals — it automatically adapts to get you through the challenge so you can advance to the next level of total body fitness. This feature is an excellent improvement to what is found in the M5 — with the M3 or M5; you’ll need to figure out when you’re getting more fit and gradually increase the intensity and length of your workouts. But the M7 does all the job for you — you only need to workout and achieve your fitness goals. The Bowflex M7 also comes with eleven preset workouts to choose from — this gives you the opportunity to pick a workout that’s aligned with your fitness objective. For instance, you can select the cardiovascular setting if you’re looking to shed those extra pounds or stick to the setting that works for muscle gain — it’s all about picking the setting that works great for your fitness goals. For the most part, the M7 workout programs are split into two sections. 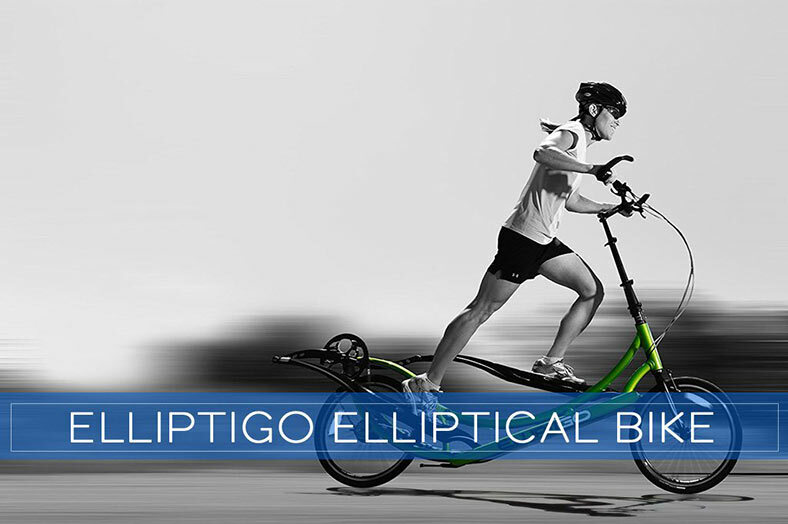 This makes it an excellent choice for users who want to achieve their multiple fitness goals in the quickest possible time. The best part is, the M7 coaches you with onscreen instructions when you pick a workout program — this is yet another huge step-up from the M5. Note: Trainees will also get to have access to four workouts via the Motion Traxx fitness app. There’s also a convenient “add time” feature that gives you the chance to extend your workout and feel great while you’re at it. One good thing about the Max Trainer lineup is that they’re all made with high-quality materials and do not take too much space. In other words, you can get excellent results without the bulkiness of a treadmill or other cardio machines. The best part is, the M7 comes with super high-quality materials that happen to be the best in the series. You’ll get to feel the incredible attention to comfort right from your toes to your fingertips. For the most part, the M7 feature top quality stainless steel pedals coupled with commercial grade ergonomic hand grips. 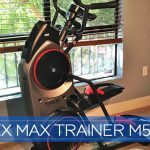 Just like the Max Trainer M3 and Max Trainer M5, the Max Trainer M7 doesn’t take much space in your home gym — its footprint is 46″ L x 29.5″ W and the machine weighs only 148 pounds! 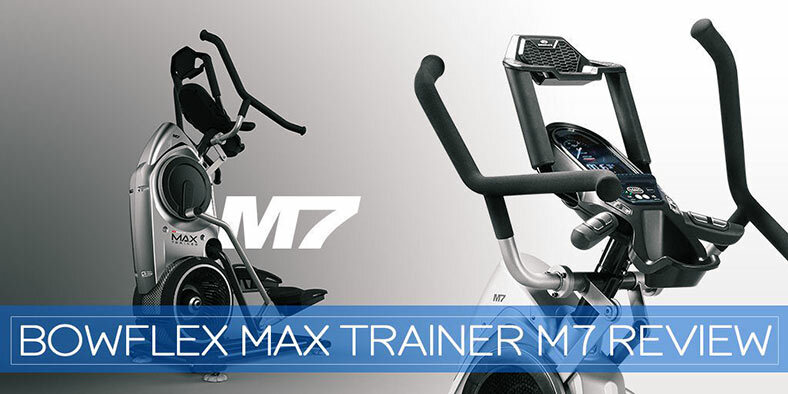 The Bowflex Max Trainer M7 also features a fully functional display. This model provides trainees with a large, backlit screen for super easy reading. Now, the screen might not play a significant role in giving you the body of your dreams, but it still adds to the experience. The best part is, the M7’s screen features a one-of-a-kind “Burn Rate” monitor which shows you the exact amount of calories you burn during the few minutes of your workout. Now you’ll get to know if you need to step it up a notch to reach your fitness goals and stay motivated with amazing real-time results. The M7 also comes with the Max Trainer App which gives you the opportunity to sync, track and share your workouts. You can choose to sync the iPhone or smartphone with the app so you can see your incredible results on your phone. The app is sure to work great for those with a super tight schedule who find it hard to track their daily and long-term progress — now everything will be smooth and easy. 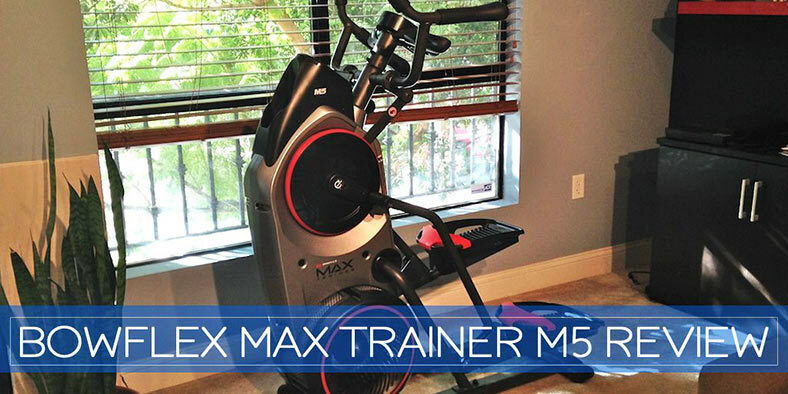 The Bowflex Max Trainer M7 is sure to be an excellent addition to a home that’s filled with fitness enthusiasts. The machine can store up to four individual workout profiles — this is yet another step-up from the M5 that could only save two user profiles. Now everyone can get in shape without disrupting other users — four trainees can save their profiles and work towards their training goals. The M7 also comes with other special features to help you exercise efficiently and get the best workout experience. It comes with a chest wrap for wireless heart rate monitoring coupled with pulse readers which are built into the handlebars. 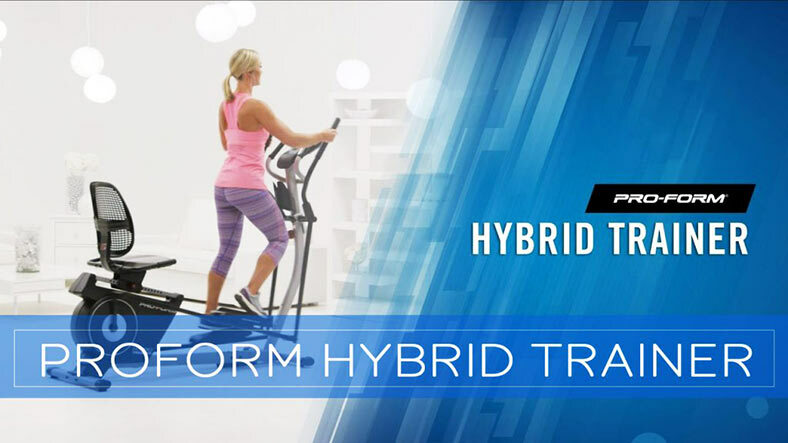 The M7 also features a media rack which happens to be more spacious than other models in the Max Trainer lineup. The water bottle holder is also a big plus. The Bowflex Max Trainer M7 comes with a three-year warranty. This warranty covers the whole machine — just be sure to use the machine as it’s supposed to be used and you’ll be covered. The machine also has a six-week money back guarantee; in essence, you have six weeks to try out the M7 to see if it works with your fitness goals. If you’re dissatisfied with the performance, you can package it up and send it back — no questions asked. 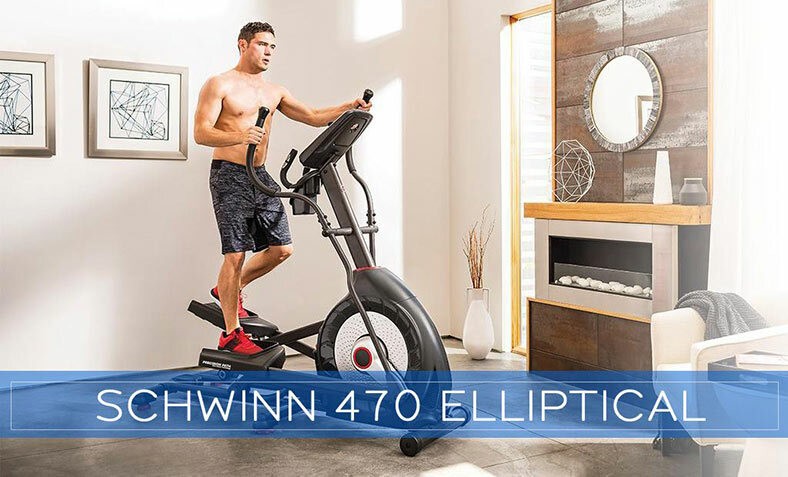 All in all, the Bowflex M7 is the best option for trainees who are looking to take their fitness to the next level — the machine is an excellent investment that’s sure to have a huge payoff down the line. The Max Trainer M7 is actually second to none when it comes to quality and functionality — we’re pretty sure you’ve read all the customization and tech options it offers. It’s clearly one of the strongest machines that’s worth the money. The greatest thing about the M7 is its ability to accelerate the rate at which calories are burned during your workout — you’ll get to lose weight faster and get the body of your dreams in no time. Overall, the M7 is a highly recommended buy, and we suggest getting a hold of it if you got the bill.